I was finally able to see The Wolfman starring Benicio del Toro and Anthony Hopkins last night and I am afraid it did not quite live up to my expectations. The Wolfman, a remake of the classic 1941 film starring Lon Chaney Jr., tells the tale of Laurence Talbot (played by del Toro), who upon learning of his brother’s disappearance returns home after many years as a traveling performer only to discover that his brother’s dead body has already been found. He decides to remain at his family’s estate with his eccentric father John (played by Hopkins) in an effort to capture his brother’s killer and avenge his death. Everyone has their theories on who the killer might be. Laurence believes it could be the work of a madman, the locals believe that somehow the band of gypsies camped outside of town are to blame and the gypsies believe that Laurence’s brother was slain by a werewolf. Inspector Francis Aberline (played by Hugo Weaving) however believes that Laurence himself is to blame and is willing to do whatever it takes to prove it. I’m afraid I found the film rather slow going and at just over one and a half hours The Wolfman seemed as if it went on much longer. The actors seemed to do their best with the materials they were given, with both del Toro and Weaving providing great performances but as I mentioned the film seemed to drag on much more than it needed to. 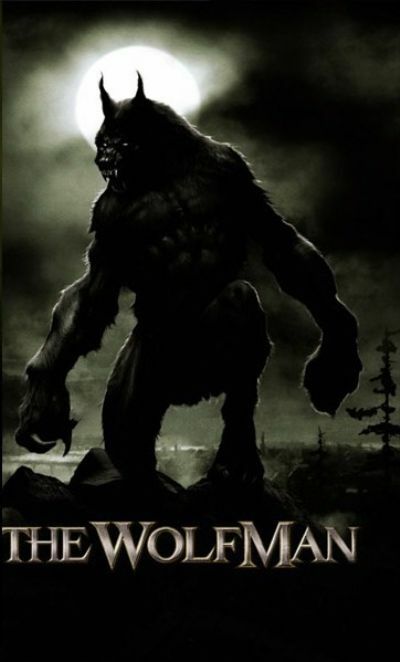 The sets, costumes and special effects were first rate with the transformation of del Toro into the werewolf paying homage to Chaney’s transformation in the original film. 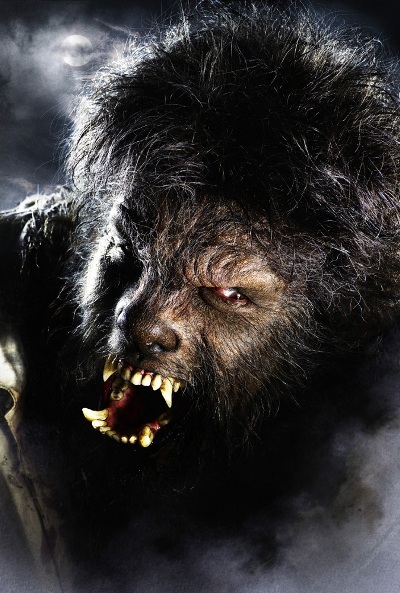 Instead of choosing the more ‘wolf like’ transformations that are common place thanks to the popularity of such films as Underworld and New Moon, The Wolfman’s transformations remained more humanoid which actually managed to make del Toro’s werewolf quite sympathetic. In fact I found myself particularity sympathizing with del Toro after Talbot is captured and locked away in the same insane asylum in which he spent his childhood after witnessing the death of his mother. Upon being captured and declared delusional for believing that he was attacked by a werewolf and is therefore now one himself Talbot is subjected to different tortures masquerading as treatments in order to ‘cure’ him. He is mocked relentlessly by his captors, until of course the full moon rises. There are many differences between this Wolfman and the original including Talbot’s capture and I believe that it is more accurate to call this film an homage rather than a remake. Is it as good as the original? It’s really up to the viewer to decide. While The Wolfman will probably not be winning any Oscars it’s still not a bad way to spend an evening.